Ferment ciders, applejack, or apple brandy washes with Safcider from Fermentis. This yeast is selected from strains of the Champagne region of France. 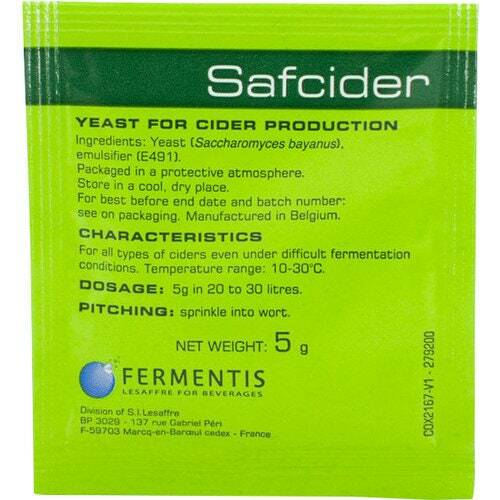 Safcider performs well under harsh conditions with a high alcohol tolerance. It can ferment in a temperature range of 50-86°F, but has an ideal temperature range of 64-75°F. 5 gram pack is good for pitching 5 gallons.